A bag of 4-fluoro isobutyryl fentanyl is displayed at the Drug Enforcement Administration Special Testing and Research Laboratory in Sterling, Va., after a 2016 drug raid. 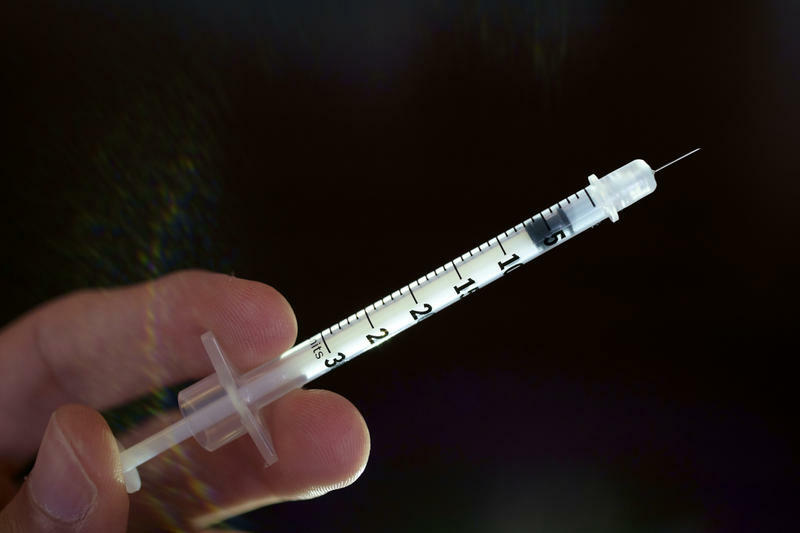 Fentanyl deaths outranked those attributed to heroin last year for the first time in Allegheny County, according to data released Thursday by the medical examiner's office. 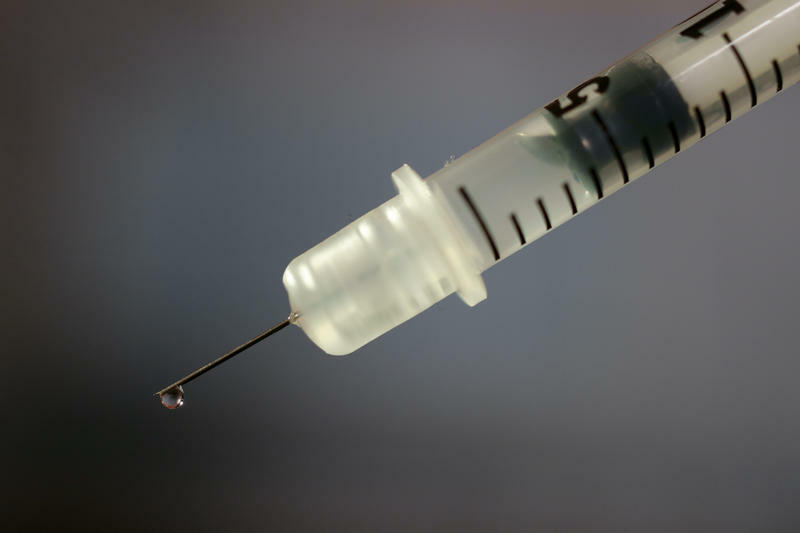 Coroners and medical examiners in all but one of the 10-county region reported spikes in drug overdose deaths from 2015 to 2016 -- up 44 percent in Allegheny County and 38 percent in Westmoreland County. Data show 613 people died from overdoses. Karl Williams, Allegheny County Medical Examiner, said opioids were present in three quarters of them -- usually heroin, fentanyl or both. Williams said he doesn't believe this number will decrease. “There’s no indication yet of any leveling off. I believe that we will continue to see the prominence of fentanyl as opposed to heroin," said Williams. "I think it’s easier to produce so it’s going to continue to replace heroin. Fentanyl is a highly addictive narcotic used for pain relief. It's similar to morphine, but estimated to be 50 to 100 times more potent. When combined with alcohol, heroin or other drugs, it can cause severe respiratory distress and death. Karen Hacker, the director of the county’s health department, said Thursday the drug has become more readily available in the last year. 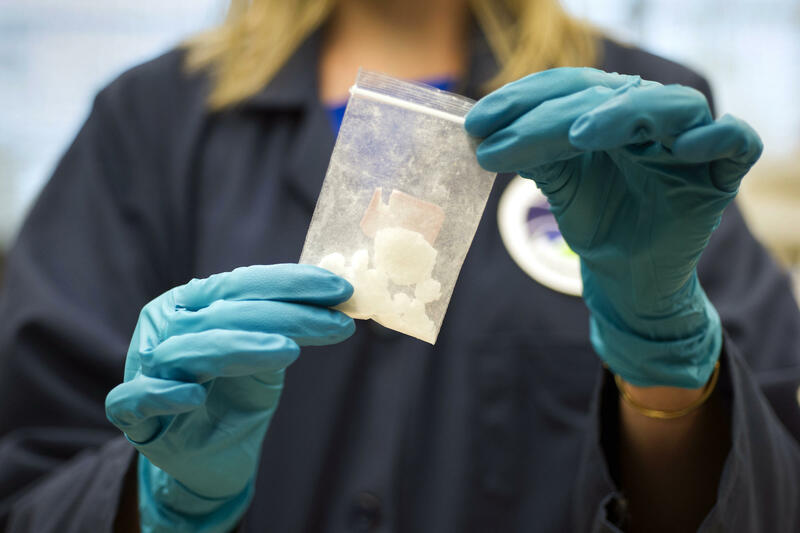 People addicted to heroin seek a more potent high and think their bodies have a stronger tolerance to fentanyl than they can actually handle, Hacker said. “We do see that scenario with heroin users, that they hear about something more powerful or strong and they are drawn to it, not pushed away,” she said. 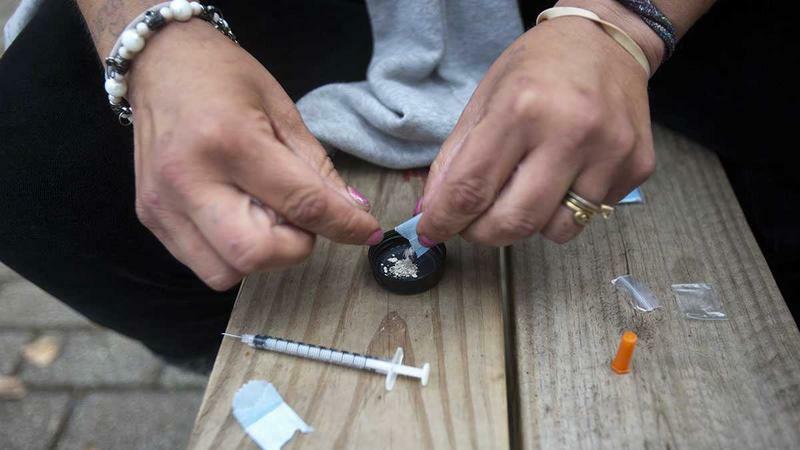 Most deaths in southwestern Pennsylvania counties were attributed to heroin, fentanyl, cocaine and other prescription drugs. “At this point in time, we want to assume that all heroin has fentanyl in it,” she said. She said county and state agencies are “acutely aware” of the epidemic and have implemented evidence-based practices. That includes legislative policies, interventions with the doctors who prescribe narcotics and in-school education "to keep people from getting involved in these drugs in the first place." They're also seeking better treatment options, she said, some with medication, counseling and support. "To really help individuals who are in trouble get themselves and their lives back on track,” she said. At the age of 13, Alex Hoffman was already using alcohol and marijuana. By 14, he was on juvenile probation. “I wouldn’t stop smoking weed, I wouldn’t stop drinking, so I kept failing drug tests and that lead to my first time going involuntarily into juvenile rehab,” Hoffman said. It was not his last involuntary commitment. He bounced in and out of programs and jail for years before getting clean three years ago, at the age of 21. He remembered being dropped off at a juvenile facility by his parents on his 16th birthday. Sarah Womack is a mother and an addict. 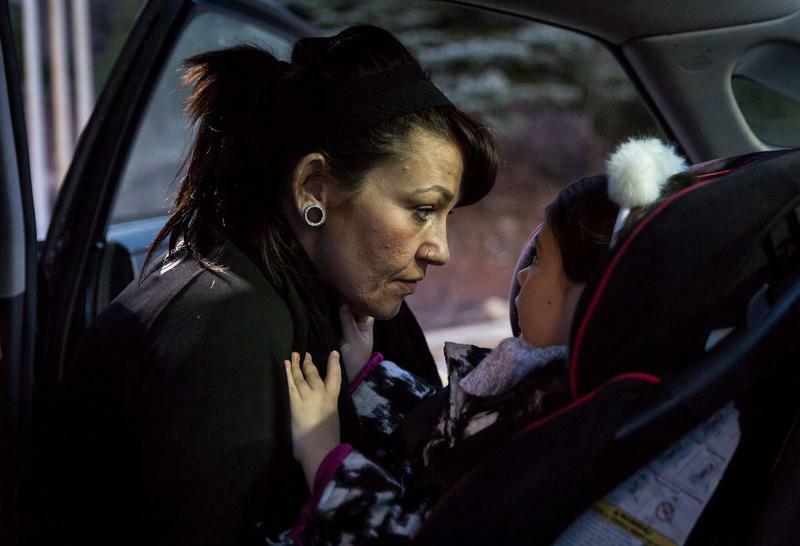 When her identities collided, she was forced to choose one and she's fighting to hold on to motherhood. Listen to this audio postcard of Womack produced by 90.5 WESA's Katie Blackley in collaboration with PublicSource reporter Brittany Hailer. Two major prescription drug distributors have agreed to pay $36 million to settle a West Virginia lawsuit alleging they fueled West Virginia's opioid epidemic with excessively large shipments of painkillers into the state over several years. State officials on Monday say Cardinal Health will pay $20 million and AmerisourceBergen will pay $16 million under the terms that have now been filed with Boone County Circuit Court. The companies have denied any wrongdoing. Judge William Thompson disclosed the proposed settlements two weeks ago with no details. For the past 20 years, Rep. Gene DiGirolamo, R-Bucks, has been a vocal advocate for drug and alcohol rehabilitation in Pennsylvania. And he’s been pushing the public and lawmakers to stop looking at addiction as a crime. “Addiction has to be looked at like a disease and it is, like other diseases, highly treatable, and treatment works,” he said.